Today’s garbage disposals are some much more powerful than older models. They are a great way to protect your pipes and are environmentally friendly. 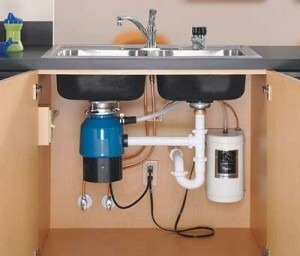 If you do not have a garbage disposal and need one we can help you with that. If you do have a garbage disposal that needs repair we can help you with that! Garbage disposals are great but they can run into some issues. You can not just shove everything down a garbage disposal. 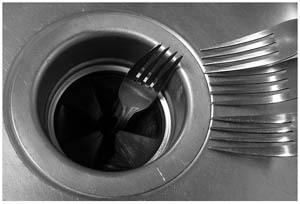 There are things that you can not put in a garbage disposal because it can lock it up and may cause the motor to burn out. If any of the above make it into your garbage disposal give us a call so that we can come out right away and remove it. We can quickly repair your garbage disposal! A Knoxville garbage disposal is a great helpful machine to have in your home but it is an item that you have to always use safe practices with it. Never ever stick your hand into the disposal while there is still electric current going to it. Call in a professional to be on the safe side. 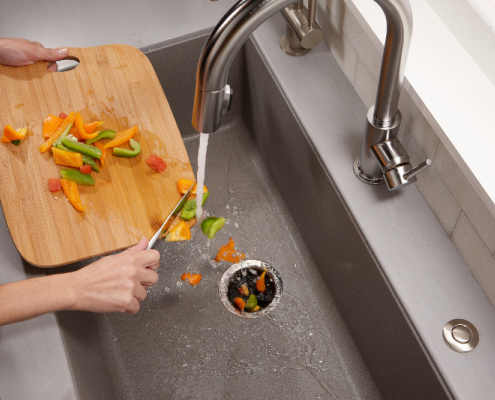 Garbage disposal can easily dismember digits from your hand and you should never risk your wellness to try to fix one on your own. We have a great deal of experience with Knoxville garbage disposal units and we can insure safe repair. Knoxville Plumbing Services is committed to the safety of our community members so we will respond quickly to a call about a faulty garbage disposal or for a new garbage disposal installation. We charge a flat fee for the install and the repair so it is a cost effective way to get your garbage disposal working right or to get a new install! 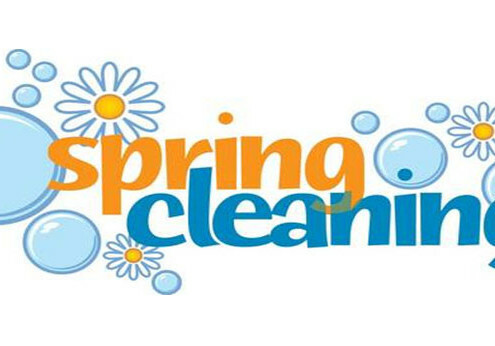 Call us today and get the 100% guaranteed satisfaction that you deserve! Call Knoxville Plumbing Service for all your Knoxville garbage disposal needs!